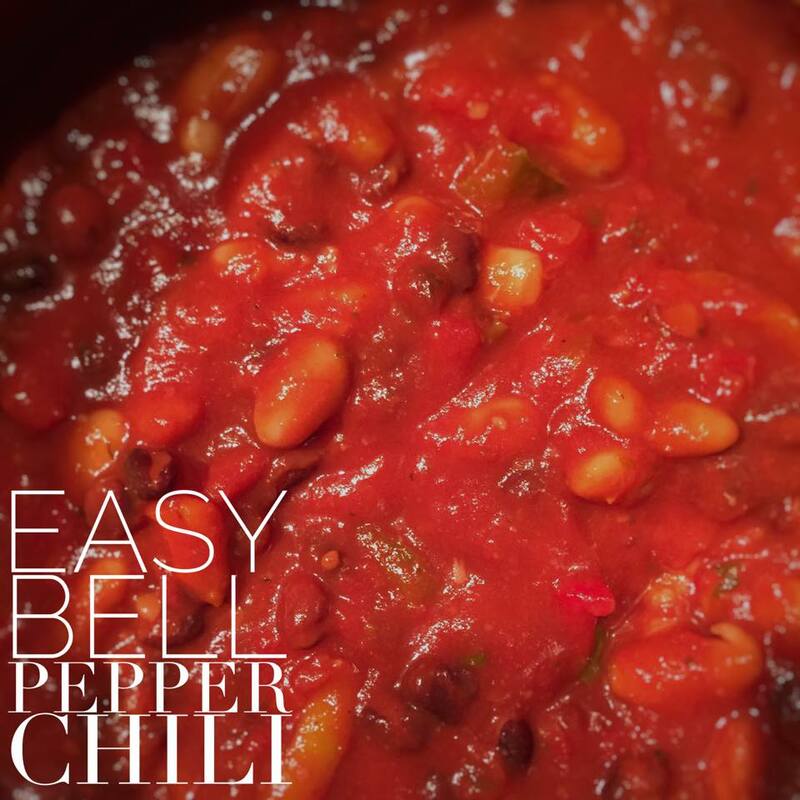 You know a recipe is a hit when your four year old asks, “Mommy, can I have more chili? Because that was yummy!” Chili is one of my favorites to make because you can really get creative! You can add veggies, meats, and make it as hot or as mild as you’d like! This is a simple, kid-friendly version that can be whipped up in no time. In a large pot saute the peppers and garlic in the olive oil for a few minutes (if the peppers are fresh saute until soft). Add the rest of the ingredients and let everything simmer on low-medium heat for 30 minutes, stirring occasionally. I like to serve over a bed of spinach! 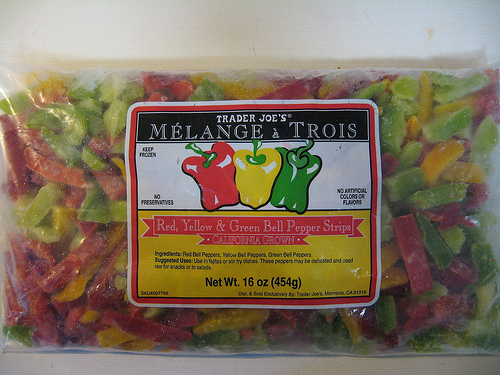 Trader Joe’s carries tri-color frozen peppers and I love them. That’s what I use in this recipe! If you want to add more heat feel free to amp up the seasonings and/or add a jalapeno. My son isn’t a fan…yet 😉 If you cook up this recipe please let me know how you like it.